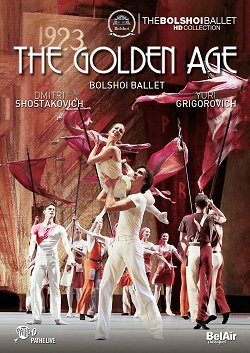 Russia is the focal point of the 2016/17 season at the Bruges Concertgebouw. Several concerts of Russian music are scheduled throughout the year and both Piotr Tchaikovsky and Dmitry Shostakovich take pride of place in the celebrations. In the first symphonic concert of the series Philippe Herreweghe and his Royal Flemish Philharmonic (aka deFilharmonie) paid homage to Tchaikovsky with a rather unusual pairing. 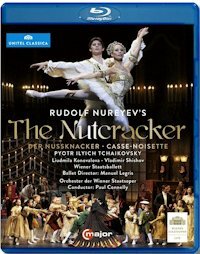 With the Second “Little Russian” Symphony and a handpicked selection from the Nutcracker, works separated by some twenty years in the composer’s output, they offered primarily a happily smiling and vital Tchaikovsky. Philippe Herreweghe isn’t a conductor you would expect in this repertoire. Yet it’s always interesting to hear how a musician steeped in early music and baroque approaches the 19th century scores. Some immediate benefits were obvious. With a smaller than usual orchestra, anchored on 5 basses, Herreweghe’s Tchaikovsky sounded refined, transparent and finely detailed. Remarkably, employing smaller forces didn’t result in lightness, yet the overall feel was energetic and vibrant. The balance between strings and woodwinds was impeccable, highlighting the brilliance of Tchaikovsky’s orchestration. The antiphonally placed violins opened up the sound, while extra care for the lower strings always provided a solid base. The Royal Flemish Philharmonic plays of course on modern instruments and power was at hand when needed, even though Herreweghe always kept things firmly under control. It was all the more a shame that the selection culled from the Nutcracker was so short. 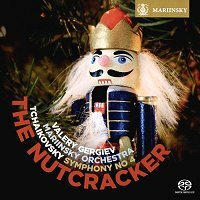 The concert was dubbed “Tchaikovsky’s Nutcracker” I suspect for marketing purposes, although it was the first work on the bill, and in retrospect the least convincing. Herreweghe added a few numbers to the usually heard ballet suite, like the Galop and the Entrance of the Parents from Act I and the Tarentella from the Pas de deux, but it no less remained a piecemeal offering. Some transitions sounded awkward and his selection avoided the more elaborate and darker pages of the score. Extremely colorful and vivid, with particular attention to the fine Philharmonic woodwinds, Herreweghe’s Nutcracker sparkled and superficially charmed but hardly ever got inside the score. Some numbers were tackled too briskly to breathe properly (Dance of the Reed Pipes, Sugar Plum Fairy), others were merely precise rather than evocative (Arabian dance). The “Little Russian” Symphony (performed in its final version from 1879) however was a lot more successful. It was beautifully played and excitingly rendered without ever becoming demonstrative. Herreweghe never indulged in any eccentricities and made a very strong case for this often neglected symphony. Tempi were well-judged and a sense of discovery enlivened every movement. The Andante sostenuto instantly captured the right mood with magnificent solos from horn (Eliz Erkalp) and bassoon (Oliver Engels) – dreamy moments that soon gave way to sheer vivacity and joy. The march-like 2nd movement was well paced and Herreweghe imaginatively handled the variations. The Philharmonic strings were heard to great effect in the second theme. Sharp attacks and crisp phrasing characterized the boisterous scherzo, with the winds adding plenty of color. The clarity Herreweghe kept in the tutti, as well as his deft control of the ebb and flow made for a convincing and exhilarating final movement. 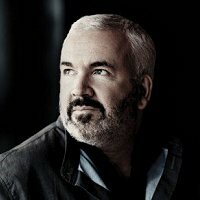 Categories: Concert reviews | Tags: Belgium, concertgebouw Brugge, deFilharmonie, Flanders, Philippe Herreweghe, Piotr Ilyitch Tchaikovsky, Royal Flemish Philharmonic Orchestra, Russia, Russian ballet, Russian music, Symphony #2 in C minor "Little Russian", Tchaikovsky, The Nutcraker | Permalink.